By now, you all know that I love to read. I have a very diverse group of books sitting in my three (yes, three!) 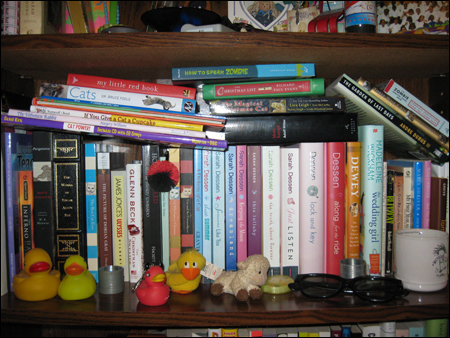 overflowing bookcases. I have five books coming to me in the mail as well. So, add five to what you’re about to see. 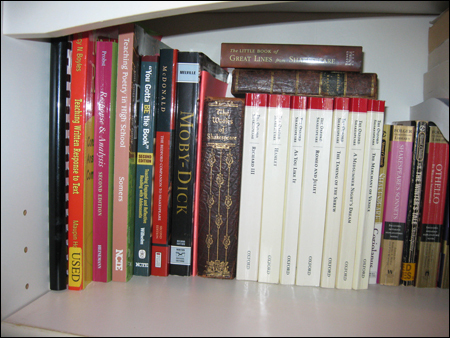 How many of these books do you own? How many of them have you read? 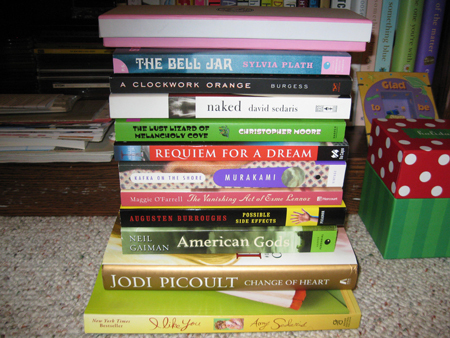 Do I have a seriously book buying problem? When Keith and I move in together I want him to build me a library in our house or a book staircase like the one from Brandi’s blog. Screw the Kindle, I kick it old school. Goodness girl. That’s a lot of books. I don’t really read much, but I have a few here and there. 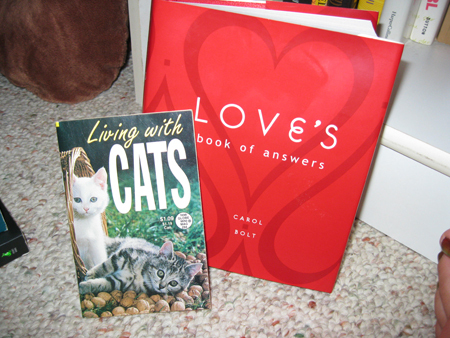 I want that “Living with Cats” book. Well hello there Ms English major! Haha I love buying books too because I never feel like I’m wasting my money. I have yet to buy a Palahniuk book but I’ve been told I’d probably like his stuff. I’m told Choke is a good one to start with? Any recommendations? Oh, and with all due respect to people who own them, SCREW the Kindle. I like real books. 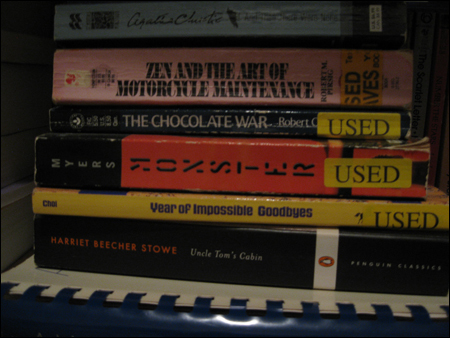 I’ve read almost, if not all, of the books that I own. 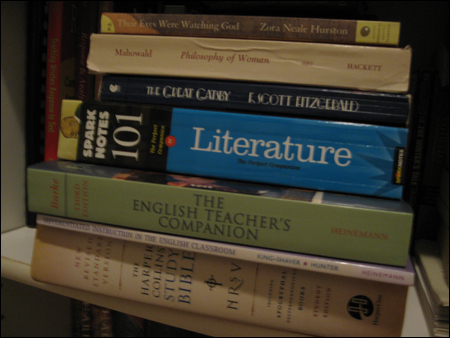 Some of the text books I may not have read in full, but I’ve at least read some of them. I don’t have a book buying problem at the moment. But if money was not something I had to worry about, there is definitely some potential for getting addicted. Since I moved out with my boyfriend we share one book case, half filled with his books and half with mine. Unfortunately that means that I have a box or two of more books still back at my parents house. I would love to have a place for all my books but at this point I don’t think that is possible. 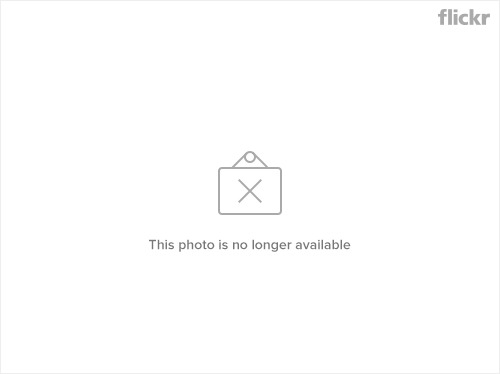 I couldn’t see if we had any of the same books because the pictures were a little small. But it sort of looks like we don’t share any of the same ones which I find a little hard to believe. Wow, that’s a lot of books! I totally agree, reading old school books is so much better than reading e-books. I love technology, but that’s one aspect of it I won’t be embracing anytime soon. My goodness girl, you have so many books! I can’t wait to add to my book collection. 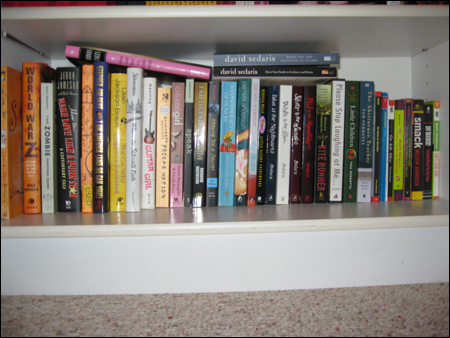 I’m really picky when it comes to organizing my books. 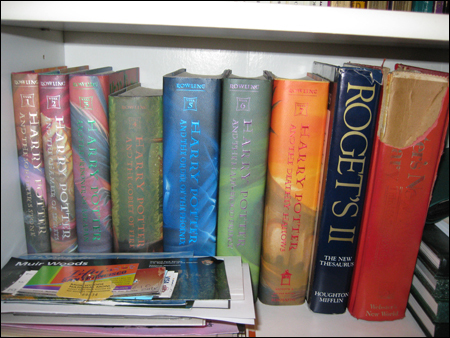 I usually organize them from biggest to smallest and hardbacks are always in their own little section. LOL. I could have so much fun organizing your books, srsly! Oh my. many books. Ha, I love it XD I can’t believe that people are buying the nook or whatever instead of actual books…what is this world coming to?! I someday hope to have a room in my future house that can be a library. I already know exactly how I want it to look. I LOVE your collection!!! I’m so, so, so jealous! I miss reading so much and I haven’t done so in such a long time. Loving the Marmalade Boy (I have all the mangas as well…loved it) and represent that Chuck Palahniuk collection girrrrl What did you think of Haunted? That whole pool story….omg…I thought I was going to pass out. I couldn’t take it. 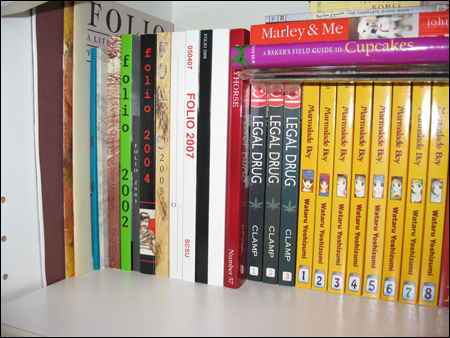 Hells yeah…I love my ghetto book staircase Glad you do too! Thanks! It’s going to get really stressful soon with the applications and essays and… I’m stressed out already. 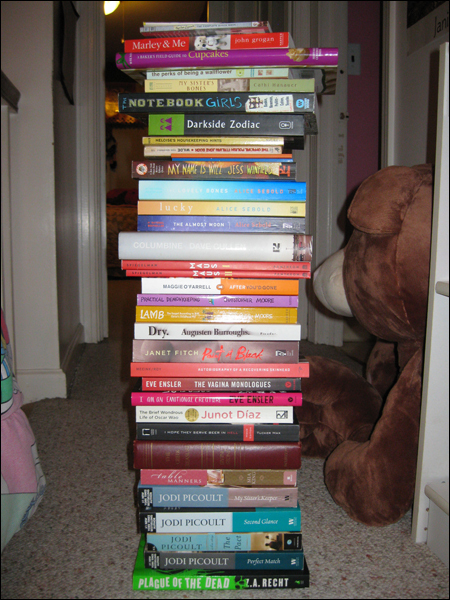 JEEZ girl you have a ton of books! I’d show you all my books but to be honest I’m too lazy right now to take pictures. OMG! Damn girl! I love to read – when I find time to. My mom used to have a whole room dedicated to books. Then when she moved she kept them in the boxes, still haven’t unpacked them lol. Wow. I just had a serious case of deja vu. It looks just like my own shelves. I have books crammed into every available shelf and I need a new one, even though I have two and have no room for another. I do have a lot of the books on your shelf. But you do have some that I’ve been meaning to get to. its great to know Im not the only one book crazy and loves to read! 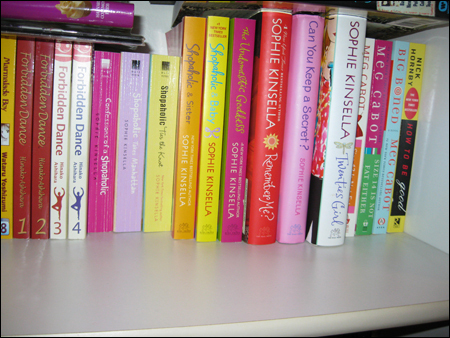 I also find myself getting attached to SERIES of books..which makes the collection grow a gazillion times faster. Too bad I recently moved and had to donate ALL of them to Goodwill Now I have less than 15 I am sure. But hopefully I can grow my collection again once I have more space. I love magazines too! Reading all those books must have taken you years. You must be super-smart and witty, heh. In my shelf, I have three books about “The wild animals – around the world” (yes, with the hyphen), a book with jokes and about three fairytale books. I sure have to obtain some books of knowledge. 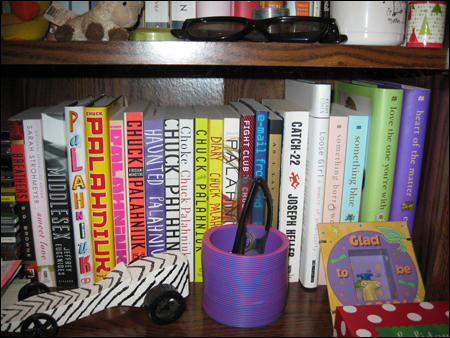 I want my shelf to look a wee bit more like yours. I think it would be hard to have a “book buying problem”; if one owns a room full of PEZ dispensers, then he is a hoarder, but if he owns a room full of books, he has a library. It takes a lot, then, to find yourself in the extremes of bookery lol. I don’t read ravenously but I “pick my spots” so-to-speak; for instance, a person like my mom reads tens and tens and tens of books a year, but gains nothing therefrom, other than hours passed. When I read a book I undergo a “growth spurt” each time, it’s not so much because I read differently as it is that I am very selective about what I read lol; either it’s a catalyst or a dud, as far as I’m concerned (mostly – sometimes reading just for leisure/kicks is OK). 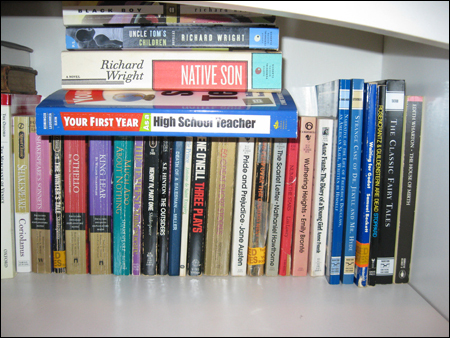 A good way to keep in frugality with books, if you haven’t heard of this already, is to join PaperBackSwap.com. It’s a great (*ahem* free) club to swap out some of your old books to another member, earn a credit, and request something new that you’d like to read (with that credit). They also have sister sites that do the same with DVDs and CDs (yea, those old things – they’re totally superior to MP3s lolz ;] ). OMG! Can I please come live with you?! I had to get rid of the majority of my books due to storage problems.